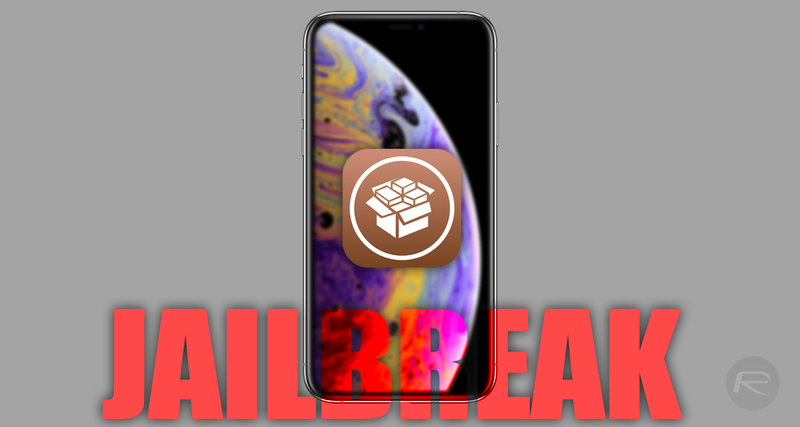 iPhone XS Max jailbreak on iOS 12.1 final firmware has been shown off by KeenLab. Here are the details on it. Liang Chen from Tencent KeenLab has proudly shown off a jailbroken iOS 12.1-powered iPhone XS Max. Once again, the developers and security researchers from KeenLab appear to be ahead of the curve as far as jailbreaking is concerned and are the first to publicly display a functional iOS 12.1 liberation just days after Apple’s official release of the platform. As is generally the case when outfits like KeenLab take the opportunity to showcase its work via Twitter, there is a conference coming up that will be used to discuss this discovery, with the title of that presentation looking like it’s going to be “iOS 12.1 + A12 == the end of the iOS war?“. The conference in question will be the Power of Community 2018 event, which will start shortly in Seoul, Korea. This particular talk is likely to be extremely popular with Chen discussing the proprietary exploits, bugs, and techniques used to quickly liberate Apple’s iOS 12.1 platform. Currently, there isn’t a great deal known about the jailbreak. 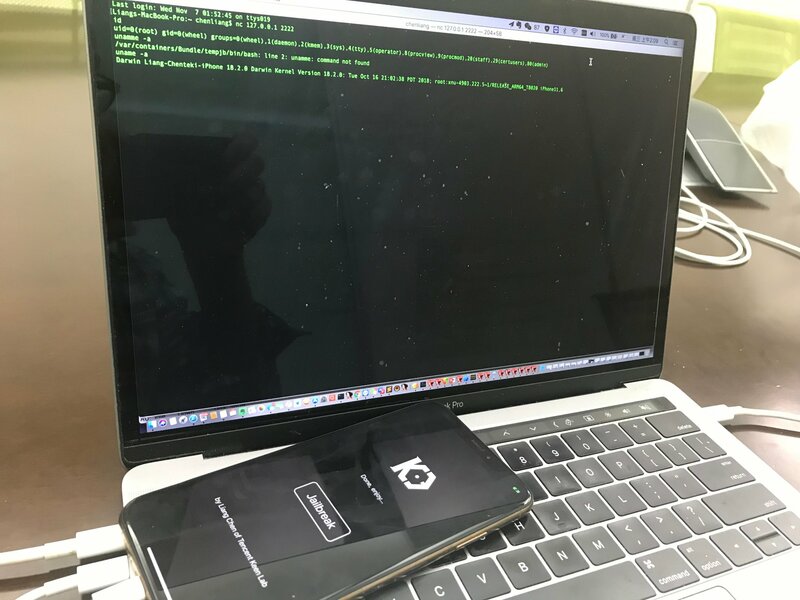 From the accompanying images shared with the Twitter post, we can ascertain that the jailbreak is administered to the iOS-powered device via an in-house jailbreak app which is likely sideloaded onto the device via a tool like Cydia Impactor. It’s evident from this setup that this jailbreak isn’t a JailbreakMe type of experience that remotely liberates the device via a WebKit exploit. Like most jailbreak apps, we can see that KeenLab’s creation contains a singular “Jailbreak” button but there doesn’t appear to be much else happening other than information being shown through Terminal on the connected MacBook. It’s likely that this will be a semi-tethered jailbreak experience, which means that the app would need to be loaded and executed each time the device is powered down or hard rebooted, although this can’t be currently confirmed. Given the history of the company, it’s also extremely unlikely that KeenLab will ever release this into the public domain, preferring instead to either keep it private and talk about the work at security conferences, or actually packed up the exploits and sell them on for a profit. The immediate mindset might be doom and gloom about the fact that this jailbreak will never hit the public domain. However, the positive thing to take away from this is that we have tangible proof that iOS 12.1 can be liberated and Apple’s security can be bypassed. Is there any feasible reason one wants to jailbreak nowadays? I use Android and root lost a lot of popularity since most features or tweaks everyone wanted is in by now or there’s an ordinary app to do it. Plus: is any of the jailbreak methods available reliable? I mean, every method I saw recently had a shady pirate store embedded and no one knows what is doing with your data (now with unlimited access). It’s called piracy… people will go on and on about how they want to install various tweaks to personalize their phone… but the HUGE MAJORITY of jailbreakers do so in order to download paid apps for free and make in-app purchases for free. Cite your source or it’s just your opinion/fake news. I jailbreak (have been since 1.x) and don’t steal. How about simple things like adding a different number of apps to the dock or changing your default browser to chrome since that’s what you use on desktop? Just the principle that it is a personal computing device and you should be able to run what you want on it. Lots of good reasons to jailbreak, not all apply to everyone. What method do you use? And more important: what iOS version? Actually for me, I only Jailbreak my iOS devices in order to use iFile. Accept it, iOS doesn’t have a proper useful file manager/explorer. Built in Files app can never be as good And useful to use like iFile. App tweaks are just some of them good additions but not the main reason I wanted a Jailbreak. What iOS version are you running and which method did you use? The last Jailbreak method I have used was Pangu. Right now I am on iOS 12.0.1. Haven’t had any Jailbreak method to use for a couple of years now.